E-cigarettes are devices that people can vape (as opposed to smoking), which may deliver nicotine, though nicotine-free options are plentiful. Instead of burning tobacco and producing harmful smoke as analog (traditional) cigarettes do, ecigs are vaporizers; they turn the nicotine and flavors into vapor that is far safer for you. There are a variety of styles available, typically broken into three generations. First generation products are cigalikes, electronic cigarettes that resemble, sometimes strongly, analog cigarettes. This type of vapor cigarette is what most people picture when they think of e-cigs. Disposable e-cigs are included in this category, though there are also rechargeable and refillable cigalikes. Whether disposable or reusable, first generation devices are generally considered ideal for beginners because of their simplicity. Second generation devices are larger and have little, if any, resemblance to cigarettes. They have a longer-lasting, rechargeable battery. Many models have manual batteries, meaning you need to turn them on and off, or actively hold a button while puffing. Vape pens are a common type of second generation e-cigarettes. While the initial expense is higher than with cig-a-likes, second gen vaporizers cost less in the long-run. Third generation vaporizers don't resemble cigarettes at all. They have the widest variation in appearance, with some looking like vape pens, and other box-like in shape. 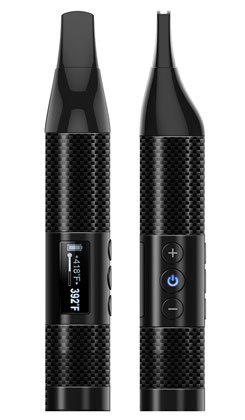 Third gen gadgets are often called APVs (for Advanced Personal Vaporizers) or vape mods. The term mod refers to the origins of these devices, when people would modify some sort of hollow metal tubing–metal flashlights were popular–with the basic components, creating a vaporizer. The initial expense is, once again, higher but with better battery life and more ability to customize components, the overall costs end up being much lower. Disposable e-cigarettes are easy to use vaporizers that have a limited lifespan. They are frequently cigalikes, meaning they resemble tobacco cigarettes in design; most even have an LED light in the tip that glows like the head of a cigarette when you puff. Some disposable ecigs are extremely realistic in appearance, at times difficult to distinguish from traditional cigarettes. In addition to simplicity they boast portability and convenience. Disposable e-cigarettes come pre-assembled and ready to use straight from the package, with no need to mess around with vape juice or charge the battery. 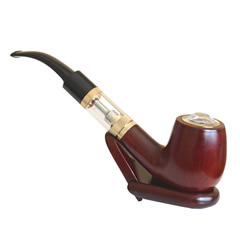 This makes them extremely simple to use, with almost no learning curve from tobacco cigarettes; cigalikes tend to be slightly larger and noticeably heavier, and you may notice a slight difference in how long or hard to pull to get the vapor but there's virtually no other difference in the experience. How do disposable e-cigs work? All electronic cigarettes have the same components and function in the same basic manner. They all have a battery; an atomizer, which contains the heating element; and the cartridge, which holds the e-juice. Ejuice has the nicotine (if you use it), flavor, and propylene glycol (PG) and/or vegetable glycerin (VG). Nowadays, the cartridge and atomizer are often combined into one unit, called a cartomizer. When you start to inhale, the battery is triggered and an electrical charge is sent to the heating element in the atomizer which heats the e-juice to above boiling point, vaporizing it. The vapor is carried through the vaporization chamber to the mouthpiece. How long do disposable vaporizers last? Most offer up to 500 puffs which, with average use, is approximately equal to 30 analog cigarettes. The amount you get varies, of course, with how long a puff you take. You may find that you take fewer puffs with your e-cig as there's no lighting it or putting it out. It's just there when you want a puff. First, let's talk about why you should make the switch to vaping. Assuming you're smoking tobacco, whether via a cigarette, cigar, or pipe, you're inhaling smoke which contains more than seven thousand chemicals. Of those, no fewer than 69 are known to potentially cause cancer. There are also 599 ingredients that cigarette manufacturers can add to their products. While many of the additives aren't dangerous when simply ingested (valerian root extract, for example), the process of burning them can significantly alter their safety–only one is known to be completely safe: water. Byproducts of burning tobacco include tar, which coats the fine hairs (cilia) in the respiratory tract and lungs that help clean out pollutants; cyanide which is a toxic poison; arsenic, a heavy metal commonly used in rat poisons; and carbon monoxide, which interferes in the exchange of oxygen in the body. When you vape, the vape juice ingredients–there are four primary ones–aren't burned. The liquid is superheated and the active ingredients vaporize into an aerosol with virtually no solid particles. The ingredients are nicotine (if you use it), propylene glycol (PG), vegetable glycerin (VG), and flavor. The PG is the same type used in foods and inhalers for asthmatics and is "generally recognized as safe" by the US FDA. Vegetable glycerin has also been used in foods for years. The greatest variation of ingredients is in the flavor but if you find a reputable dealer you can be assured that the ingredients are food-grade. As there's nothing burned, there are no byproducts of combustion. Epuffer manufactures our own e-juice following standards set by the International Organization for Standardization (ISO), the only body that has put forth such standards for quality. Now onto why you should choose disposable e-cigarettes. As indicated above, they're exceptionally easy to use and, as such, ideal for beginners. There are a couple reasons you should use, or start with, disposable e-cigs. The most obvious reason is to see if vaping is for you. While we love vaping and want to see everyone enjoy it, the fact is that there are people who won't like it for whatever reason. Tying into that is the cost. Disposable vapor cigarettes are relatively inexpensive, significantly so compared to second and third generation devices. While disposable vapes aren't necessarily cost-effective as a full replacement of analog cigarettes for regular use, they're definitely worth it for occasional use. Who should choose disposable electric cigarettes? First time and novice vapers will definitely want to start with disposable e-cigarettes. They'll help you break into the vaping world with ease and low cost. If you're a very light or social-only smoker, you may choose to stick entirely with disposable ecigs. And if you're looking for a portable e-cig for when you're going out and don't want to carry a pen or bulky box mod, disposables are also good options. If you're making the switch from exclusively smoking tobacco cigarettes, a cigalike, whether disposable or reusable, may be your best choice at first. Between the appearance of an analog cigarette and the size making it easy to mimic the motions associated with smoking, cigalikes will help your brain transition more easily; this is surprisingly important. Finally, despite the decreased risks associated with vaping, purchase of ePuffer vapor cigarettes and related products is still restricted to those of legal smoking age. What are my options for nicotine and how is it measured? Unlike tobacco cigarettes, electronic cigarettes offer exceptional control in the amount of nicotine you consume. There are more than half a dozen levels of nicotine you can purchase, ranging from nicotine-free to more than 50 mg/mL. Despite that huge range, most e-juice is one of three strengths: 0 (nicotine-free), 12 mg, and 24 mg. Epuffer uses a slightly different notation. We use a method called True Nicotine Content (TNC) labeling which calculates how much nicotine you get in terms of analog cigarettes, making it easier to determine what strength of nicotine you need. 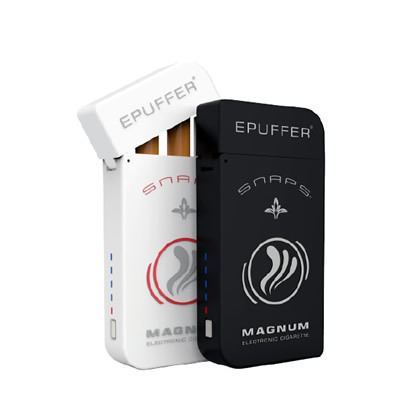 With Epuffer's True Nicotine Content, 12 mg of nicotine is labeled as 0.6 mg, and 24 mg as 1.2 mg.
You can figure out the levels of nicotine in your cigarettes now with just a few minutes on Google. If there's a range, always opt for the lower level first to avoid potential nicotine toxicity. What do disposable e-cigs taste like? In e-liquid, there are tens of thousands of flavors available. In disposable ecigs, the variety is somewhat smaller, but there are still plenty of choices. All disposable vapes are available with tobacco flavors, including menthol, and most retailers offer a selection of flavored disposables as well. 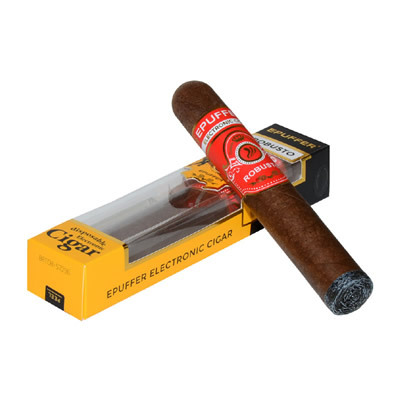 Here at ePuffer, we have a small selection of popular flavors including Raspberry Mint Mojito and Caramel Mocha Latte in our Eco brand disposable e-cigarettes as well as a traditional tobacco flavor and a menthol option. How much will disposable vaporizers cost me? The cost for disposable ecigs are on par with or higher than tobacco cigarettes so if you plan to be a long term, regular vaper start researching your second or third generation device even as you buy your first disposable vape. Despite that, disposable vaporizers are priced competitively to allow you to use them without breaking the bank. Our Eco disposable ecigs are all under $10 at ePuffer. For orders over $50, shipping to the US is free. Free shipping is available for Canadian orders over $100.